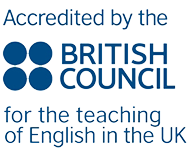 Information for students who need a visa to study an English language programme in the UK. Celtic English Academy is committed to complying with the visa regulations set by the UK government body, UKVI (UK Visas and Immigration) and we are thorough with our administration for all visa students. If you need to apply for a visa to enter the UK, Celtic English Academy can help you with the process. Once you have booked and paid for your course in full, we will issue you with a visa support letter. This will be for a Short-Term Study Visa. Short-Term Study Visas are for students who are studying on a course that is up to 11 months in duration. You do not need to prove your level of English for this visa type. For a list of approved SELTs, please see the Home Office website. The UKCISA website contains excellent visa information and advice. You can also use the government website to check if you need a UK visa. Please contact our Operations Manager, (info@celticenglish.co.uk), if you need further information.